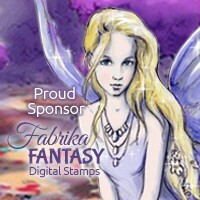 We have a wonderful prize for you from our New Sponsor - Fabrika Fantasy - who are offering 3 images from store. 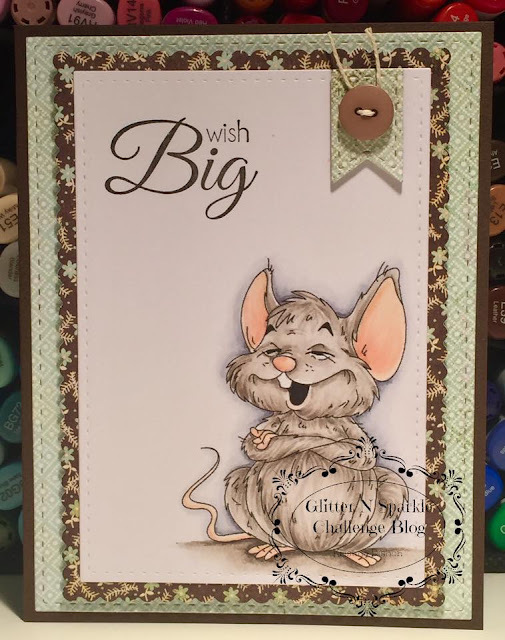 For my card I have used the image "Happy Mouse". He is coloured with copic markers and then teamed up with some Basic Gray patterned paper.